AMSTERDAM, 10 SEPTEMBER, 2014 — RTW, the market leader in visual audio meters and monitoring devices, is pleased to debut two major updates to its highly regarded TouchMonitor TM7 and TM9 audio meters at the 2014 IBC Show (Hall 8, Stand D92). The meters’ Timecode Reader License SW20008 now permits recalculation during loudness metering, while their Logging Data Server License SW20014 has gained expanded chart-display functionality. The new Loud. Recal (Loudness Recalculation) instrument helps mix engineers and editors save valuable time during a broadcast sound editing session. 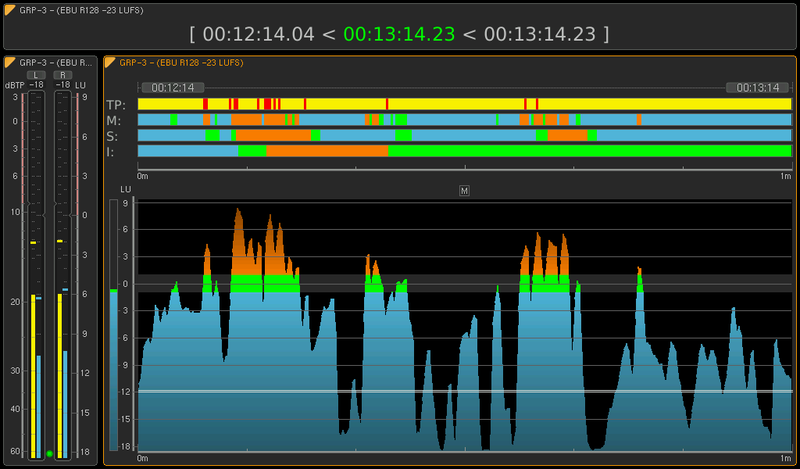 Jumping back and forth in a program segment with continuous timecode, it automatically calculates loudness measurements for the complete runtime of a segment at the time the user performs corrections to the mix or sequence (wherever located in the program). Logging Data Server License SW20014, meanwhile, now offers graphs with up to four different loudness and TP values, as well as real-time relative-gate display. The TM7 and TM9 series TouchMonitors, which include the innovative Magic LRA instrument, feature a seven- and nine-inch touch-sensitive display, respectively, and pair unparalleled flexibility and modularity with intuitive control. The software visualizes multiple sources simultaneously. Both support displaying the same signal on multiple instruments in parallel, each with dedicated defaults with both horizontal and vertical operation. TM7 visualizes up to 40 sources at the same time, while the TM9 visualizes up to 48. Various audio interfaces and combinations are available i.e. analog, AES3, AES3id or 3G-SDI. RTW’s entire TouchMonitor range was created to help adhere to all major industry loudness standards, including EBU R128, ITU BS.1770-3/1771-1, ATSC A/85, ARIB, OP-59, AGCOM, and the CALM Act.